[ 1 ] USACE: Guideline for Risk and Uncertainty Analysis in Water Resources Planning, Volume�T:Principles with Technical Appendices, Report 92-R-1, U.S.Army Corps of Engineers Institute for Water resources, 1992. [ 2 ] USACE: Guideline for Procedures for Risk and Uncertainty Analysis in Corps Civil Works Planning, Volume �U :Example Cases, Report 92-R-2, U.S.Army Corps of Engineers Institute for Water resources, 1992. 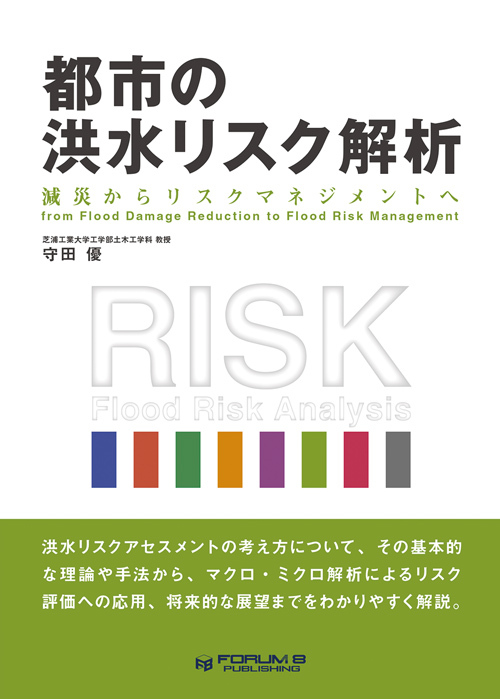 [ 3 ] NRC(National Research Council): Risk Analysis and Uncertainty in Flood Damage Reduction Studies, Washington, D.C., National Academy Press, 2000. [ 4 ] Watanabe, K and Kurihara, T: Practical simulation method of surcharge flow using pressurerelaxation effect in manhole, proceedings of 6th International Conference on Urban Storm Drainage, �T , Niagara Falls, pp.128-133, 1993. [ 5 ] 荒尾慎司，平塚俊祐子，楠田哲也：管水路流れにおける３方向接合円形落差マンホールのエネルギー損失の定式化，土木学会論文集Ｂ１（水工学），Vol.69，No.2, pp.105-122, 2013. [ 6 ] Willem, P., Olsson, J., Arnbjerg-Nielsen, K.,Beecham, S., Pathirana, A., Gregersen, I., Madsen,H., and Nguyen, V-T-V. : Impact of climate change on rainfall extremes and urban drainage systems, IWA publishing, 2012. [ 7 ] 栗城稔, 今村能之, 小林裕明：水害被害の実態調査に基づく一般資産の被害率の推定，土木技術資料　３７−１，pp.40-45，1995. [ 8 ] Beven, K. and Hall, J. (editors): Applied Uncertainty Analysis for Flood Risk Management,Imperial College Press, London, 2014. [ 9 ] 佐藤照子：水害リスクの構造とその特徴について−総合的な水害リスクマネジメント手法の構築に向けて−，慶応大学日吉紀要，社会科学No.15,pp.25-38, 2005.